In order to keep your work place as clean as it is necessary and have a pleasant office you can use our affordable services. Our qualified hygienists can ensure the presentable and sparkling condition of your business property. We provide effective cleaning of office equipment, furniture, worktops, floors, kitchen area and toilet facilities. Our company can offer you professional sanitising of office rooms which is carried out by skilled and certified cleaning operatives. 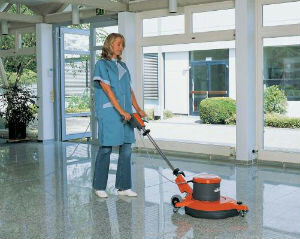 The office cleaning which we provide in and near Balham SW12 guarantees hygienic and impeccable working places. 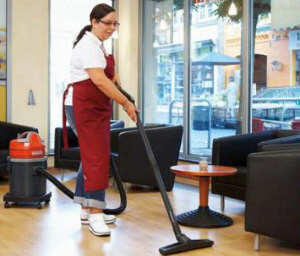 Our cleaning operatives are among the most qualified, skilled and trained who provide effective sanitising of business estates. They won’t interrupt your employees’ working process and can come at the most convenient time to your company to do the work. We offer daily, weekly, fortnightly and customized cleaning sessions which ensure healthy and pleasant working environment. Get in touch with our customer support centre to specify all details that concern the office cleaning which you need in Balham or nearby and leave the rest in our hands. Our staff will disinfect and polish the furniture, shelves, desks, monitors, computers, keyboards and phones. They will sanitise the chrome, brass, glass and natural stone surfaces, counters and sinks. Our cleaning operatives will cleanse and wash the toilet facilities, remove the food leftovers, crumbs and dirt from the kitchen area. 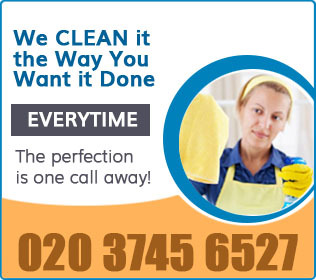 Use our first-rate office cleaning services which we offer in and near SW12 at reasonable prices. You will have a presentable and hygienic working place which will improve the productivity of our employees. Don’t let your office rooms get filled with dust, grime and look neglected. Keeping your office clean at all times is very important for the good image of your business.